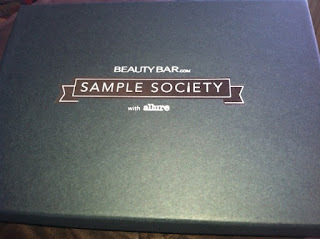 MamaBreak: Allure Sample Society Review . . . good deal, good grief! Allure Sample Society Review . . . good deal, good grief! 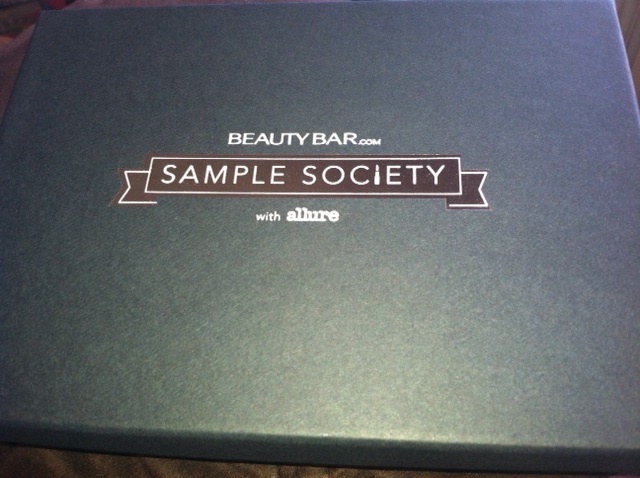 As many others did, I really felt that the Allure Sample Society would be on par with places like Birch Box, if not BETTER! You pay $15 a month, and get a box each month with what they claim will be a "deluxe sample." Their definition of a "deluxe" sample is clearly loosely based. 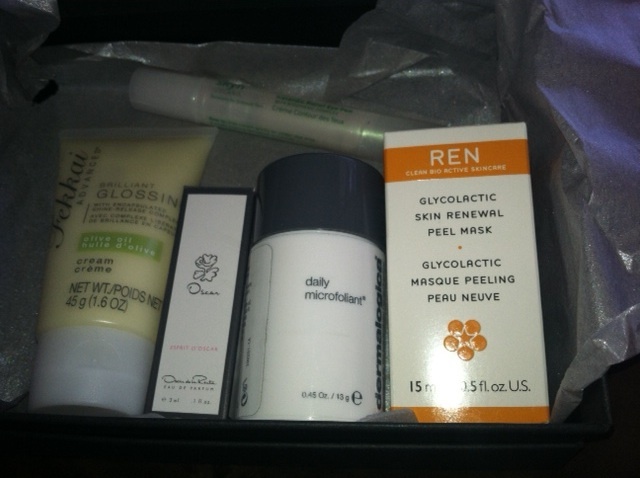 The "deluxe" samples were small . . . most having 3-4 uses perhaps. They DID include a full sized product. 3. Oscar Esprit d'Oscar 0.1 ounce (yes folks, that IS 1/10 of an ounce!) HOW deluxe! This all came in a very nicely packaged box. The $15/ month includes 1 year of Allure magazine (in theory. Although I signed up at the end of January, I have not received 1 copy of the magazine-- so still waiting). Overall, it could be seen as an ok value with the one full sized product, but I am guessing many other good shoppers would be able to find the product for at least $15 included with maybe even better samples. I would not consider what was sent "deluxe" samples, but simply samples that you would pick up at any beauty counter. First month-- disappointing! Lets hope that next month is BETTER!